« How has it been 3 months since I blogged?! One thing I have been doing a lot of these last couple months is buying clothes through StitchFix. 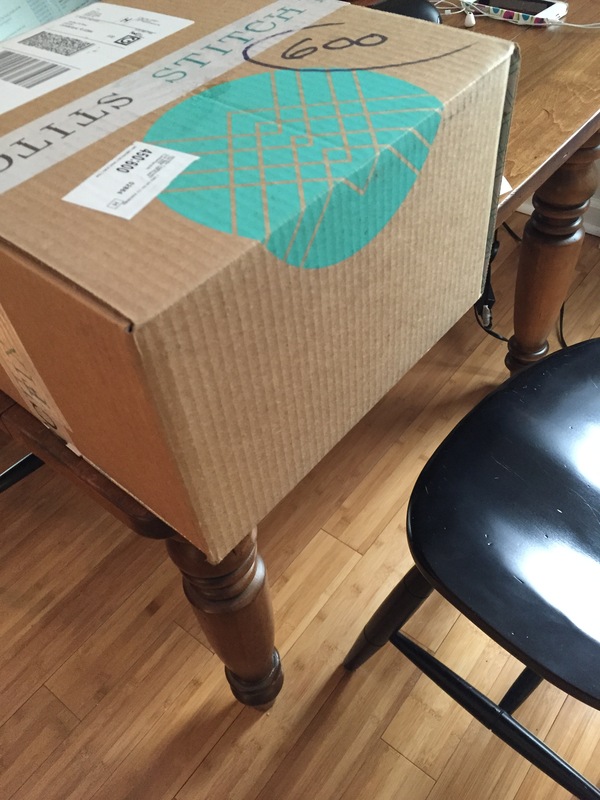 What is StitchFix you ask? Only the best thing to happen to shopping in a long, long time. The mall can be overwhelming…and don’t even get me started on trying to find things in Marshall’s or TJ Maxx. With StitchFix you work with an online stylist to find clothes that are just what you are looking for. You start by filling out a really thorough profile. You let them know all of your sizes, proportions, what you want to flaunt and what you don’t. There is a place where you leave them a note, like if you have a special event coming up or a trip so they can pick items especially for that occasion. AND….if you have a Pinterest account you can link it up to your profile. You can pin clothes that you like and get this…they try to find either that exact item or something similar. I.LOVE.IT. One of my new favorite activities is pinning clothes to a board for my stylist to look at. It is a super easy process. You choose the frequency, and the price points for the clothes you want them to choose for you. They charge a $20 styling fee but if you buy something they apply it to the purchase. You pick a date for your first shipment and wait impatiently for it to arrive. Once the clothes arrive you have three days to decide what you want to keep and what you want to send back. Sending something back? No worries, they provide a postage paid envelope that you put the clothes in and bring to the post office. Easy peasy. And if you decide to keep all of the items, you get 25% off the total purchase. 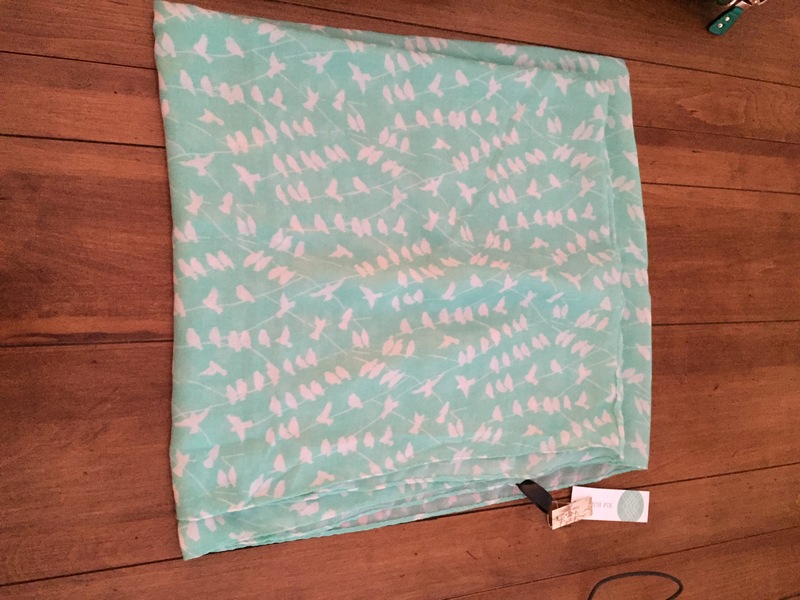 Here is a link to my StitchFix inspiration board and here is a link to the board that shows items I have already received (and purchased). This will give you an idea of the kind of clothes they might send. Right now I am getting a Fix every 3 weeks or so, because I have a ton of travel coming up for both work and fun. When I see this box on the doorstep, I get pretty excited. And here is what I kept. I have gotten so many compliments on the bag. It is a great size and such a great color. I really liked the jacket but it was just a little small so I asked them to send it one size bigger with my next fix. I also liked the sweater but I have another similar sweater so I returned it. If you decide to try it let me know what you think! 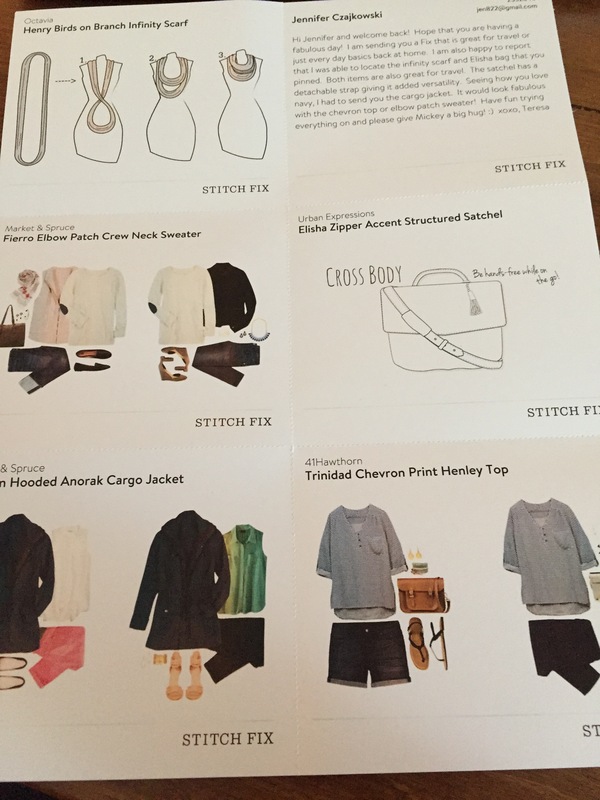 If you click on the StitchFix link in my post, I will get a referral credit. So if you are so inclined, click away! Hi. 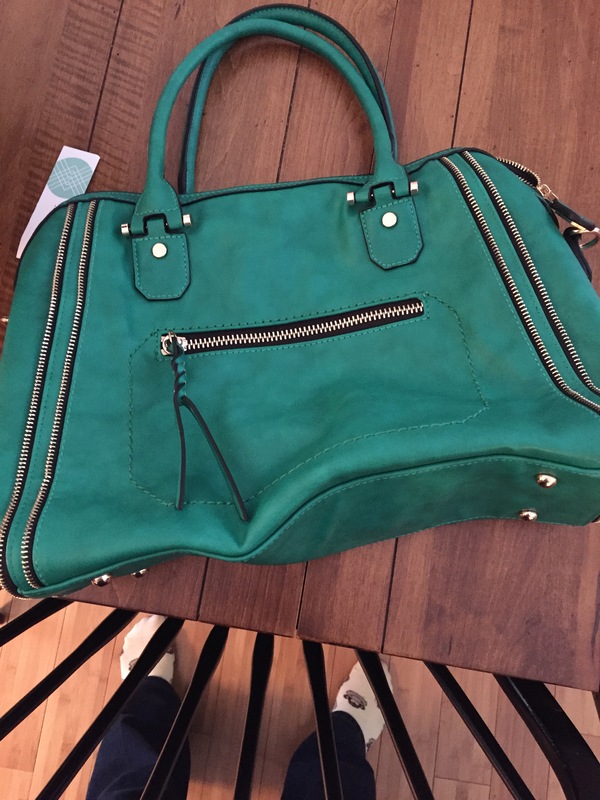 I am also a stitchfix fan I totally love it. 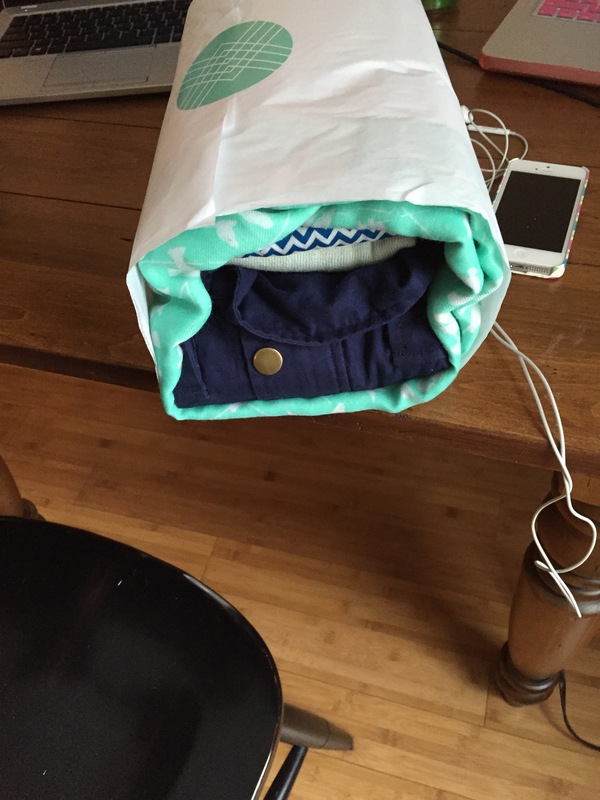 I can’t figure out how to make a Pinterest board for my stitchfix pictures like you have. Could you please give any advice on how to do this? I’m just learning about it all. Thank you. Hi! Thanks for following me. Do you have a Pinterest account? If you do, there is an option to create a new board. I call mine Stitch Fix Inspiration. I usually do a search in Pinterest for “StitchFix” or “StitchFix 2015” so I can see current styles (or you can follow my board). Click on a picture you like and click the PinIt button. 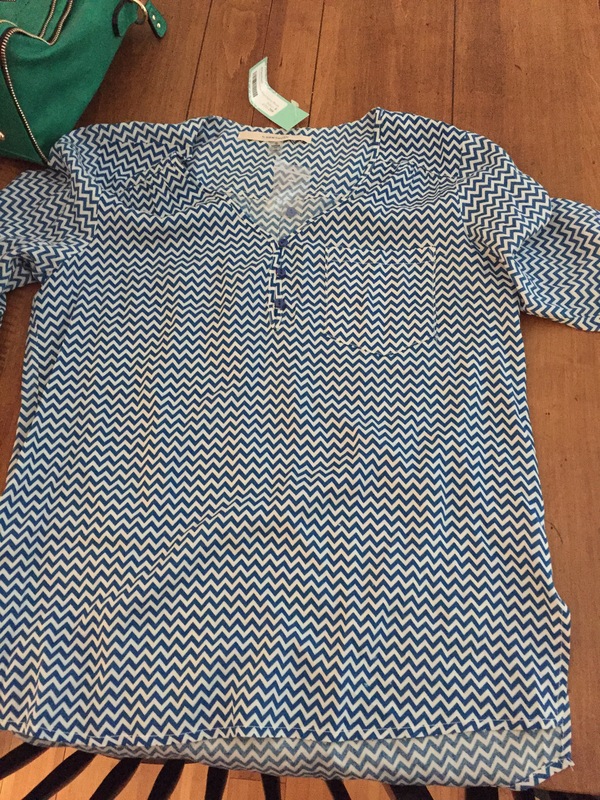 It is now on your StitchFix board. I usually go back into the pin and add a note saying what I like about it, such as color. Make sure to provide a link to your board on your StitchFix profile. They definitely look at what you pin. Almost every shipment I get includes something for my board. Have fun!